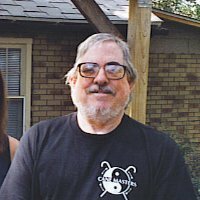 Our condolences to Jack Arnold and the members of Aikido Daiwa on the loss of Toma Rosenzweig, who died this week at age 73. He had practiced Aikido for 40 years and was a stalwart Birankai member in Southern California. To me, Toma was in many was a model sempai – devoted to the art of Aikido and his teacher, Jack Arnold. He was also a help to those of us coming up as kenshusei, always offering a word of support or a kind gesture. I’ll never forget spending a cold night on the mat at Daiwa in advance of a seminar to wake up to a warm box of donuts thanks to Toma – an unexpected and much appreciated gift. Toma will be greatly missed. The honking of geese flying south. The sound of rain. The feel of grass against your aching toes. The taste of rice gruel at 6 am. The sound of the gong at 4 am. 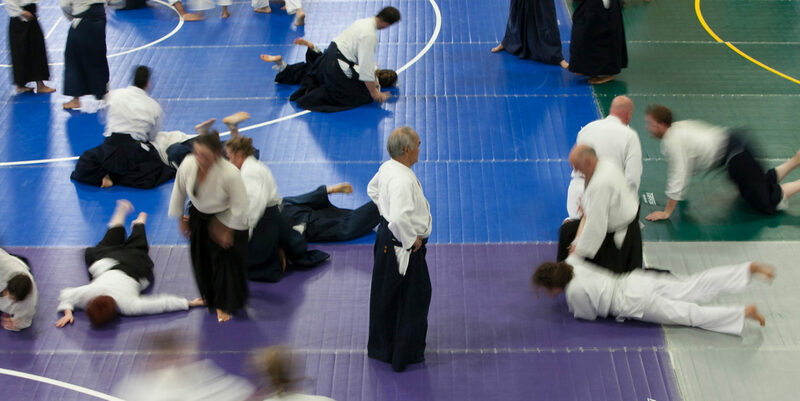 The annual sesshin, or Zen meditation retreat, at Bucks County Aikido is a special experience. A small group of Aikidoka spends the weekend in the Pennsylvania countryside. Each person immerses themselves in both Zen and Aikido weapons practice under the guidance of Genjo Marinello Osho of Chobo-ji in Seattle. 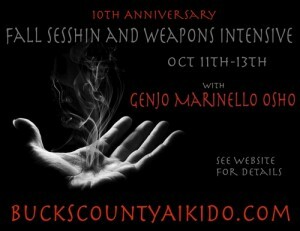 This year is the 10th anniversary of the Bucks County Sesshin, and I’ve been lucky to attend about half of them. You’ll find me again this October listening to the wind, shuffling off to dokusan and clinking my bowls. Where will you be?